Can Garlic Supplements Be Harmful to Vitiligo? Garlic is a folk remedy for candida yeast infections, but the jury is still out on whether or not the herb will kill candida in the body. While garlic does appear to destroy candida in the lab, no large-scale study has been performed on humans. 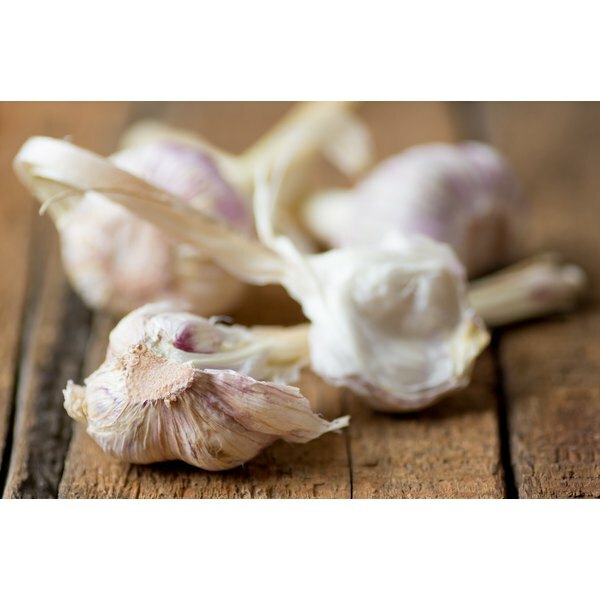 Research on raw garlic is limited, but one study published in "Tropical Doctor" in 2005 found that garlic paste was as effective in treating oral thrush, a type of candida infection, as the anti-fungal drug clotrimazole. Another study, published in "BJOG: An International Journal of Obstetrics & Gynaecology" in 2013, found that oral garlic tablets did not help yeast infections. Both studies were small, however, and more research is needed to confirm garlic's role in treating infections. But eating garlic certainly won't hurt, and the University of Maryland Medical Center reports that candida-prone people may help avoid infections by adding more garlic to their diet.